There were multiple reasons why I had been excited and eager to review this book. First - after dishing out hits like If God was a Banker, The Bankster, Bankerupt, the next serving from Ravi had to be special, especially after I read it took him one year and a lot of research to write this one; secondly, having heard a lot about bitcoins recently, the first ever bitcoin thriller is a must read. 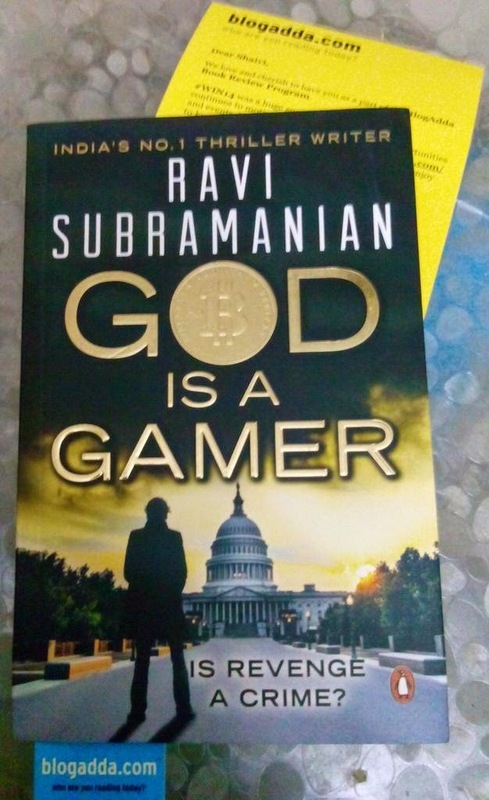 Did you know Ravi even bought some bitcoins as part of his research for the book? 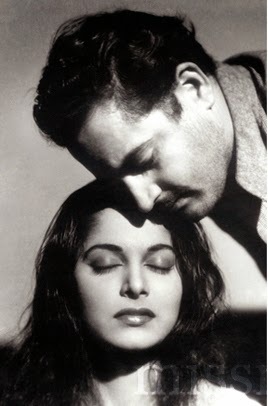 ; Thirdly, being from banking myself, I get drawn to Ravi’s stories weaved around some or the other aspect of banking. So, no sooner than I confirmed the review, the book arrived with a smile! Title in Gold, with a hint at bitcoins, a man facing the grand white house and you gradually notice the words, “is revenge a crime?” and your mind instantly begins permutations and combinations of what the story to be told. 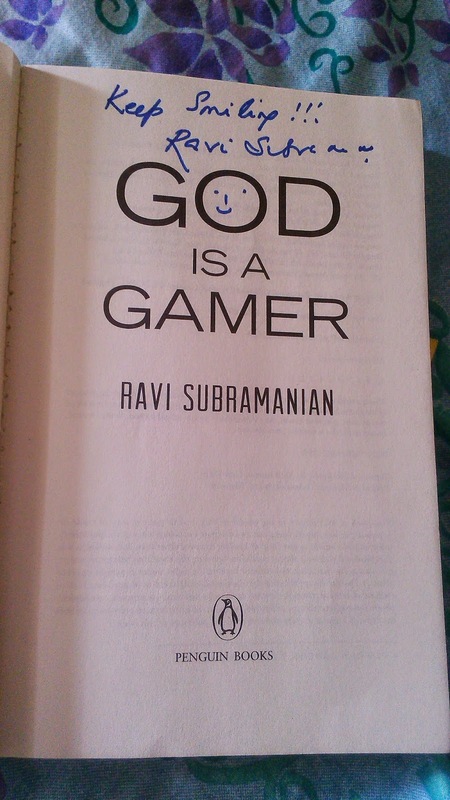 After writing his way up to being India’s one of the most talked about thriller writers, Ravi Subramanian has maintained his winning streak with “God is a Gamer!” The story takes a while to build up and one has to be patient and focussed to understand the too many characters. However, few pages later, the story really picks up fast and you just cannot avoid not flipping over to the next page. The death of a senator who heads committee on alternate currencies creates waves all across intelligence units. Wikileaks emerges out of nowhere with eyebrow raising information. Somewhere in Goa, hormones and drugs bring Tanya and Varun in what seems like a well planned coincidence. Somewhere in Mumbai, software geeks are working hard on the next big online game. The internal heat inside Indian operations of New York International Bank is building up fast. Favours done and integrity compromised, and the underlying motives are too elephantine to anticipate. While credit card service providers block payments to Wikileaks, the world sees a new form of payment – bitcoins, a virtual currency that guarantees complete anonymity and freedom, except for the fact that the end use of the funds is towards all the things crippling law and order. Then one day, the biggest phishing scam emerges in the history of Indian banking. What is lost are not just millions of rupees, but the event is a curtain raiser to the movie ahead – credit card frauds, money laundering, lobbying, drugs, hacking, murders – and playing a major role, bitcoins. 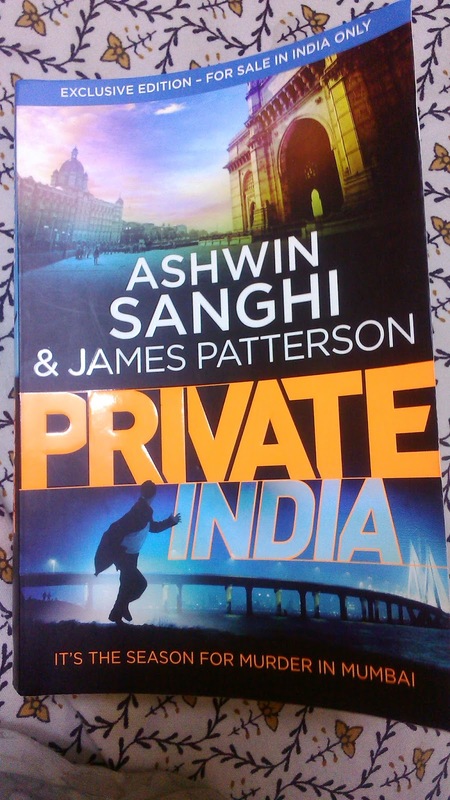 Barring the first few chapters, the book is worded well enough to hook the readers till the last page. While I don’t believe in giving spoilers, let me tell you that after so long have I enjoyed reading a thriller so much. I usually read during my free time, but this one made me stay awake till late night, for I didn’t want to hit the sack without knowing the climax. A must read and highly recommended. I often get to review books where authors fill pages describing surroundings, faces and what not, boring readers. But Ravi surely knows the art of brevity. The language is crisp and to my delight, I experienced NO drags! 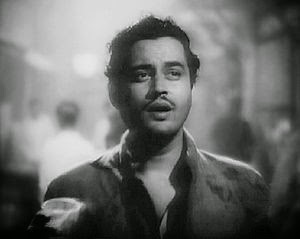 Just when you think you know it all after reading the climax, Ravi surprises you with an anti climax that leaves you spell bound! Too many characters are introduced in the beginning, so one has to stay focussed. However, later one realizes that even if some of these irrelevant characters would not have existed, the story would have remained equally interesting. The portrayal of the credit card and the phishing scam was a bit hard to chew, as also a money laundering incident which was shown like a one man show in the bank. But anything is possible with fiction and as also in our movies, not all you see is true or practical. 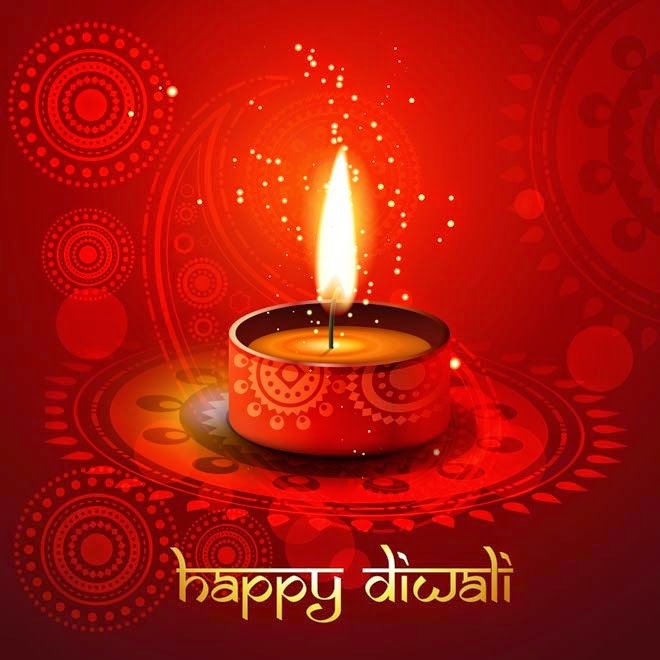 Diwali – the festival of lights! A festival that is celebrated best on the funda “The more, the merrier”. So we love to have more of everything – more gifts, more crackers, more lights, more flowers, and most importantly, more love and wishes of our loved ones. For those who live away from home, there are few more of the mores – more struggle to book those leaves in office before anybody else grabs the offer, playing that fastest fingers first game on travel portals to book tickets, bearing with mammoth crowd at roads, buses and railway stations. All this just reinforces the fact that Diwali is best celebrated at home. Having relocated to a new city recently, I feel like a bird in the sky. Sky is the limit to where the flight of destiny takes me and perhaps I should say, the world is now my home. Yet, on the festival of lights, when everyone around are looking festive and making merry, I am sitting in my balcony, venting my heart out on my laptop. While non-technically, this is my first Diwali away from home, technically, I have felt the same few years ago when I celebrated the first Diwali after marriage, away from my parents. Diwali is the king of all festivals. I have fond memories of Diwali celebrations. Each Diwali, I used to be at my crankiest best, for the teachers used to select the girls with tall hair to play Ram, lakshman and Sita, and poor me with boy cut hair would be left out. With envy, I would look at them wearing mythological costumes and floral jewellery and wonder, all this because they have long hair! Once back home, I would announce to mom that enough was enough, and by next year, I would grow long hair and be the Sita at school function. Of course, it never happened as the Dilli ki garmi forced my parents to get my hair chopped. Things finally got pleasant when I became part of the school choir, for diwali or no diwali, every function gave me a chance to croon on the stage, to my heart’s delight. 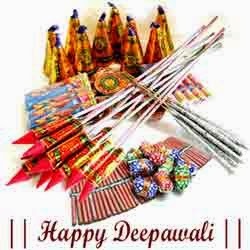 No matter how much I lecture about “say no to crackers”, throughout my school life, fire crackers were the best aspect of Diwali. A month before Diwali, I would hand over my list to mom, who would then take pains to go to Sadar Bazaar ( a wholesale market in Delhi) and get my stock full. I still remember, once as a 3 year old, I was handed over a burning fuljhari by my brother. I liked the sparkles so much that I decided to hold the fuljhari by the bright side. The rest, you can imagine, was an evening of hand dipped in ice water for me and lot of scolding for my brother! As I grew up, Diwali brought out the creative best in me. We were taught to make Rangoli by our housekeeping teacher in college, and every since, Rangoli making is a tradition I follow every year. 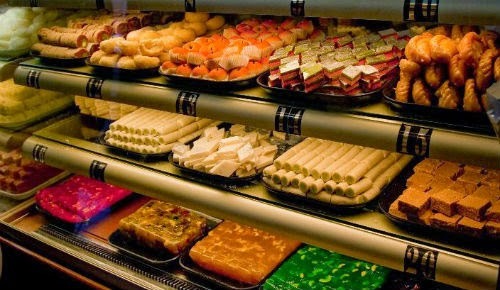 Each year, when my parents would go out to distribute sweets, brother and I would, like an express machine, decorate the house with flowers, make Rangoli and mom would always be surprised at our once in a year display of housekeeping skills. While for the world, Diwali is a time to go out and celebrate, it creates havoc for our canine companions. Cotton buds, special room and what not – so much of effort went in each year to ensure my pet didn’t get into the panic mode by the sound of crackers. In that respect, I appreciate the Mumbaikars living in Cooperative Housing Societies and chawls. Their houses might not boast of big balconies or private gardens, but they surely know best the joy of sharing. From kids to adults, I see them decorating every inch of my society like it is their own big home. 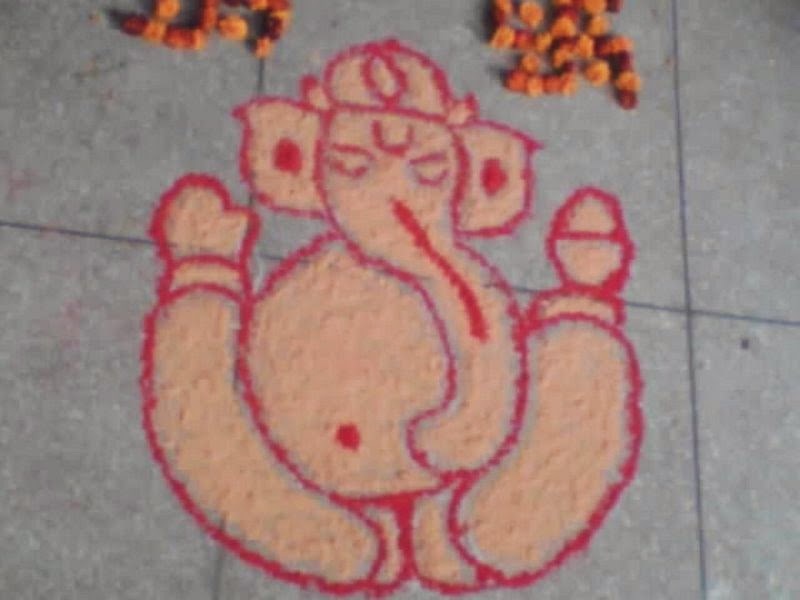 The kids are preparing Rangolis all along the corridors and staircases. Talking of sharing, let me share one thing that was shared to the utter discomfort of the those who share proximity. This morning, as I was lost in my dreams, the sudden sound of fire crackers at 6, woke me with a start. Was there an explosion in my dreams? I wondered. But I was awake and out of my dreams, and the noise was increasing every moment. As a surprised me, went to my balcony to check out the issue, I saw the colony kids, up and dressed up, burning crackers, at 6 in the morning! Apparently, there is some tradition among Maharashtrians to wake up early morning on Diwali, perform Puja and burn crackers before the rest of the world wakes up. The world, truly is becoming my home! Wishing a very happy Diwali to all my readers! Life of a working woman is like that of a juggler. One has to balance various aspects together and at the same time ensure that the show is perfect! It doesn’t get over there. With each stage of life, new items keep on adding to the jugglery, making the balance more difficult. My skin needs a wake up call! And then Shhhh goes the whistle of the pressure cooker, and the jugglery for the day overshadows my skin’s cribbing session. After all, when you have assignments to complete, who has the time for elaborate beauty regimes? The pack read Miracle Skin Perfector! “Wow! “ I smiled with a tinkle of hope in my eyes. But I was not looking for a fairness cream. All I wanted was something that was a one stop solution to giving my skin a smooth, glow and provide the necessary moisture. Being a believer of “try and test”, I tested the cream next morning. With hardly few minutes in front of the mirror in the morning mad rush, I opened the packet. Light and non greasy, the cream easily blended into my skin, giving it an instant firm look and glow. Like they say in the corporate world, it gave final touch to the presentation. What’s more, the look was consistent till the evening despite a hectic day at work and no time for touch up. I got the perfect skin care after all! 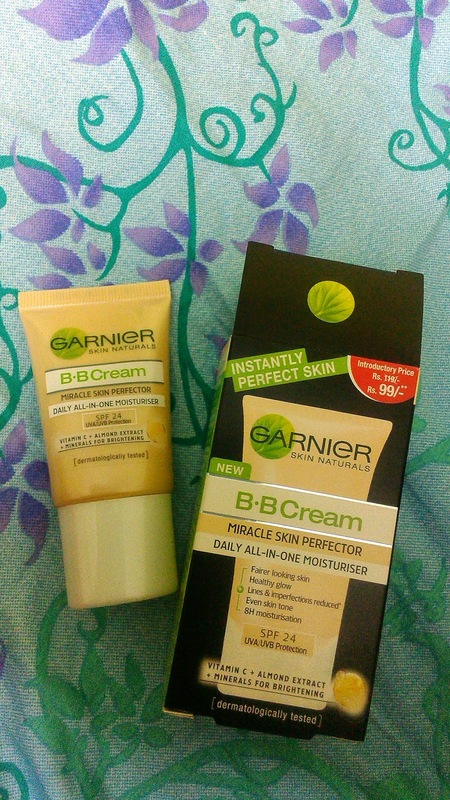 This post has been written for Garnier BB Cream contest byGarnier and Indiblogger. BB cream is an all in one cream. It combines multiple beauty routine steps in one. Hence, save time – in just one application brighten, smoothen and moisturize your skin. The recent stories about banking frauds in the tabloids intrigued my interest in this book. So when I was offered the review, it made for an instant affirmative. In order to swell their asset size, few people have compromised on the credit quality. However, short term gains on the foundation of poor long term decisions don’t make for a strong edifice. The book is a brilliant effort to showcase the turn of events when a banking fraud turns ugly…how one fraud can affect the lives of many others. A lone person watching the Mumbai night sky raises several questions…could he be the fraudster enjoying the taste of his ugly success? Or, the scapegoat who suffers the aftermath of the event? In any case, the cover does entice the reader to go for the flipping. A banking fraud involving major discrepancy of collateral value is unearthed. The accused, Shruti, a junior employee of the bank has to pay a heavy price for the corrupt syndicate. First they take away her job, and then her life. While it could pass on as one of the many unexplained killings that happen in the maximum city, one person refuses to accept the prima facie – Mr. Visht, chairman of the First Line Credit Bank. Mr. Visht, having headed the inquiry commission investigating the fraud smells more than his eyes can see. However, disappointed at the inability of commissions to catch the real culprits, he decides to associate himself with worthier causes than minting money. ZARA foundation, an NGO that works to protect small landowners against land grabbing seems the perfect choice to him. But, before he can take the first step towards cleansing the system, he too is silenced. Thus begins a series of events, mysterious killings, hacking of auditor’s database – the mastermind are willing to go to any length to ensure matters are prevented from spilling out in open. 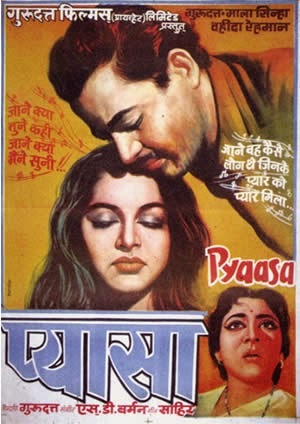 But, despite their efforts, there is Varsha, who’s willing to risk anything to bring justice. She, her friends go on a dangerous path to uncover the syndicate and their ugly game. Whether they unearth the fraud and the mastermind behind the frauds, whether they are finally able to bring punishment to the accused is for you to read and find out. But the book certainly keeps you glued and you almost begin feeling like a part of team Varsha. While reading the book, I felt too much emphasis was given to the hacking story. At some instances, the reader is left looking for some insights on banking frauds than merely elaborating on hacking and murders. However, this being just the debut, the author shows immense potential to deliver quality corporate thrillers. Looking forward to his next serving! RV Raman was the head of KPMG’s Consulting Practice and the co-head of their Risk Advisory Services. Over a career spanning three decades and four continents, he has advised several banks, regulators, exchanges and corporate on matters of strategy, operations and risk management. 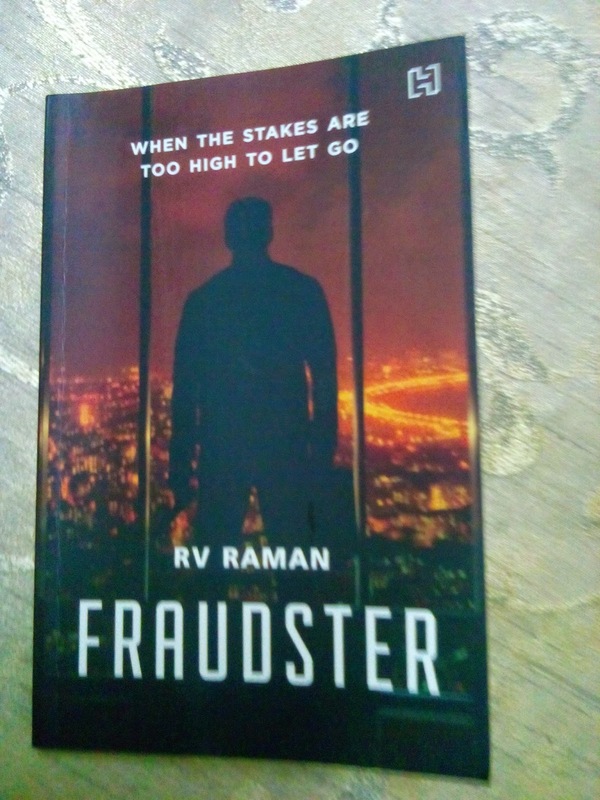 He is based at Chennai and Fraudster is his first corporate thriller. He had been lying unconscious the entire day. He tried to move his limbs, to amass the damage done, there wasn’t much damage though, yet his body cried of pain inflicted by the blows of his captors. He looked around the room - dirty, barren walls, bits of old broken furniture lying here and there. There was hardly anything to indicate if someone lived here. However, a strong smell of spices intrigued Cyrus. “Perhaps this smell can tell me where I am”, he thought and went near the window. There was so much to be done, and with him being stuck, nothing could be done. With his hands tied, all he could manage was a peep. The evening sky was abundant with white pigeons. Houses covered every square inch of land till the horizon. The sound of azaan was coming from left. As his eyes found the source of the sound, a big smile covered his face. To his left, he could see the famous Jama Masjid. “So I am near Jama Masjid, that should make things easier”, a ray of the evening sun fell on his face, and he knew Allah signaled him there was still hope. The creases on the PM’s forehead appeared more defined this time. With a pause, he said, “We are glad the media is so proactive about saving the nation’s image on the global front. However, you must also understand that considering the current circumstances involving our relations with our neighbors, not every action can be left out in the open. We are working for the public and rest assured, the image of our country at the global front is one of our biggest priorities. 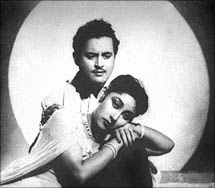 At the couch of a luxurious living room in Mumbai, a curious pair of eyes watched all the action on TV. The sips of the Single Malt got more frequent as the PM showed up on the stage and began his speech. The spotless white shoes stopped their movement as the reporters began the question. “Aha, let the fun begin”, he said with a sarcastic smile. Cyrus looked down from the window. The narrow by lanes of the walled city bustled with activity. Lanes were illuminated and loudspeakers jarred out campaigns in fake friendly tones. It was election time in Delhi. The walled city, being a major minority vote bank was always a lucrative deal for the politicians. Cyrus spotted a PCR van. His vocal chords put together all their might to summon the police to come to his rescue. The next moment, he realized the tragic game destiny had played, nobody would ever hear him now.